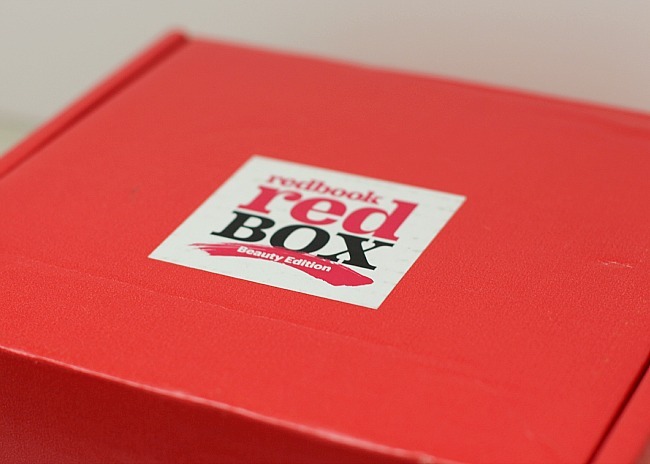 i recently received a REDBOOK Red Box Beauty Edition sample in collaboration with REDBOOK Magazine. i love beauty box subscriptions and was more than happy to take a look at this one. beauty box subscriptions are an inexpensive way to keep a constant rotation of new beauty products without breaking the bank. finding the right beauty box is the tricky part. some are inexpensive but only offer inexpensive products. others are expensive but offer products nobody really wants. the good beauty boxes are the ones that are affordable and filled with items you would gladly buy. REDBOK Red Box? that is definitely a beauty box filled with items you want. the box arrives in chic red packaging. points for taste go a long way. i was thrilled with the contents of the REDBOOK Beauty Box. 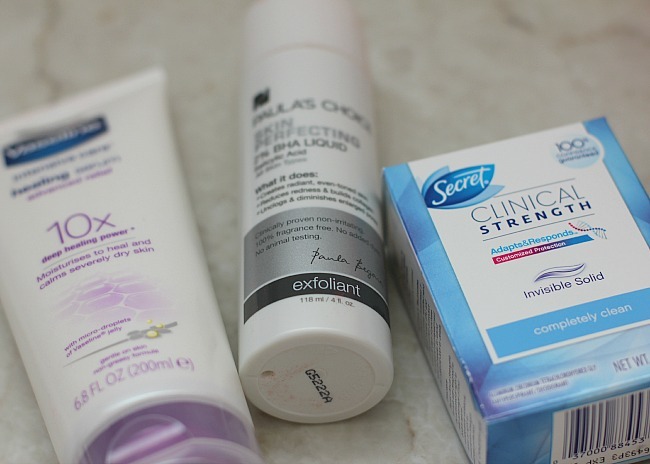 first, Secret Clinical Strength Deodorant is my favorite. seriously. it works so well and you don't realize just how well it is working until you switch back to an old deodorant and find yourself trying to hide your armpit tacos. Secret Clinical Strength protects against all three causes of sweat -heat, activity and stress. it goes on dry and stays dry. 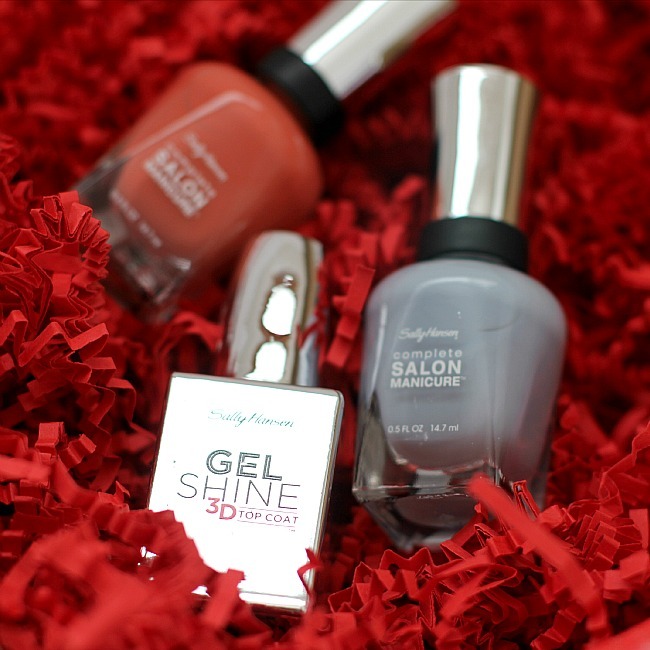 the Sally Hansen Complete Salon Manicure was a total win for me. i love the colors included in my REDBOOK Red Box. this combination of color and topcoat really does give great results. you have 7 benefits in one bottle: a base coat, strengthener, growth treatment, color, top coat, chip-resistant, gel shine. the colors are versatile and great for the season and the top coat gives you a gel-like shine without the UV light (or cost!). Paula's Choice Skincare is a cult favorite among beauty bloggers. they are products that consistently work well, are gentle on skin and provide results. the included Skin Perfecting 2% BHA Liquid Exfoliant is a gentle, leave-on exfoliant that rapidly unclogs pores, diminishes wrinkles and improves skin tone. it works great for all skin types and helps to dramatically improve your skin. last is the Vaseline Serum Advanced Relief. this time of year my skin starts to scream for moisture. the air gets dry and living in a heated home makes it only dryer. i love having Vaseline on hand to heal and calm my severely dry skin, especially because it is so gentle and smells so delish. all products included are products i would have on my shopping list for fall. it is definitely a major beauty box win. 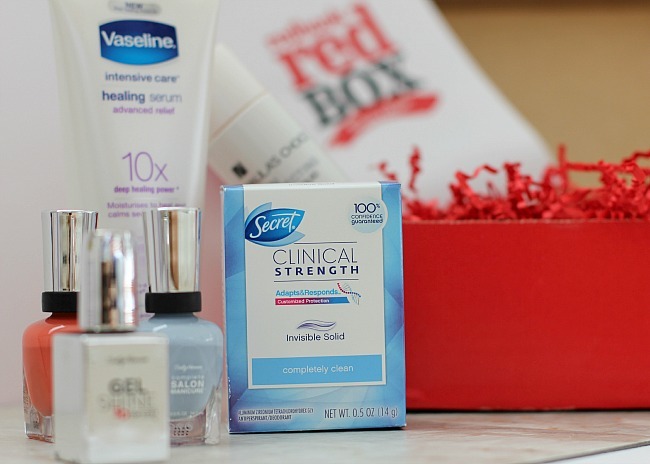 speaking of winning, you can enter to win your own REDBOOK Red Box Beauty Edition by heading to redbookmag.com/redboxbeauty. five winners will be selected - it just might be you.